pH is always more important, but these factors go hand-in-hand. Testing Spa and Swim-Spa Water Chemistry!!! Testing water is an integral part of pool and spa water management. Reliable and accurate results are important, in order to maintain proper water chemistry. The water balancing or chemistry affects every aspect of spa management. A ColorQ, All-Digital Water Tester can perform all of the common pool water tests, while eliminating the color-matching and guesswork. There is a model, for every pool testing need. 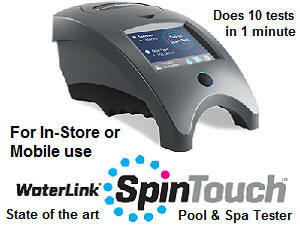 The WaterLink SpinTouch Labs are the ultimate pool and spa testers, performing up to 10 different water test factors, in just 1 minute. They were voted product of the year. An Electronic PockeTester Kit tests for salt and TDS, as well as other test factors. Simply Dip and Read. How to control a spa's pH and Total Alkalinity? The topics of pH and total alkalinity are inter-related and are key parameters (factors) in the overall pool water chemistry. pH is the relative acidity or alkalinity of the water. The pH scale goes from 0 (most acidic) to 14 (most alkaline) A pH of 7.0 is neutral. Ideally, spas and hot tubs should be maintained in the 7.2-7.8 range for a variety of considerations: sanitizer effectiveness, bather comfort, corrosion, cloudy water and scaling. Total alkalinity is a measurement of the total quantity of alkaline materials present in the water. Low TA allows for rapid pH fluctuations, makes pH control more difficult and can contribute to corrosion. High TA makes pH adjustment more difficult and can be a contributing factor in cloudy water and scaling. A TA range of 80-120 PPM is considered optimum. Higher TA readings may not be a problem, so long as the water is clear and the is no sign of scaling. Control of the spa or hot tub water chemistry is necessary to assure optimum pool water quality. If problems arise, refer to the Spa Problems Page, as a source of problem-solving information, broken down into various categories. Scroll down the page and click on the linked keywords, catch phrases or images, in the archived answers below, to access additional information, on that topic or product. ► pH Is Off The Chart And TA Is Dropping? Hi Alan, what a great website! I hope you can help me with my query. I have a 2000 liter spa pool that I keep at 38.5 degrees Celsius. I have a returning problem with the pH, which comes back even after I cleaned the spa, the filter, the spa and the filter, and after a few water changes I’m convinced my spa is haunted! Every day, I stabilise the pH to about 7.2-7.4, and TA to 120-130. I sanitise the spa with a floating dispenser of bromine/chlorine mix (BCDMH). I test with chemicals, not the strips. Every day, whether we have used the spa or not, when I test again, the pH is off the charts high and TA has dropped, but usually only by about 20 ppm. It’s relatively easy to stabilise, but the next day I’ve got to do it all over again. This is not a set-up problem, I’ve persisted for a month and I still have to stabilise every day. I have bought a new filter, and this didn’t fix it. I changed to a chloride/bromine free sanitiser and this didn’t solve it. My local spa shop has no idea what could be happening. I hope you can give me some ideas, because I’m at wits end! Thank you. Interesting!!! Bromine tablets are acidic, so the pH and TA always trending down. pH and TA move in the same direction. The pH should not be going up, while the TA drops. The problem is the testing. I have no doubt, that is what you think you are seeing. Bromine will react with the pH test solution (phenol red) and produce a reddish-purple color, which is mistaken to mean a pH that is off the high end of the scale. This color has nothing, whatsoever, to do with the actual pH. The phenol red solution does not contain enough chlorine/bromine neutralizer, so that the bromine is eliminated, before it reacts with the phenol red. 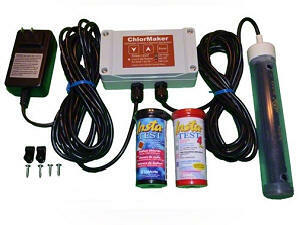 Some testing products utilize a separate chlorine neutralizer solution. Use a drop of two of this, before adding the phenol red solution. I suspect that the pH will show up as decidedly acidic. If the bromine level is very high, something simple can occur. Try using another brand of tester. It would appear that the one you are using, was not properly formulated, for use with bromine. In the meanwhile, the low pH conditions are corroding the copper in the heater. Have the water tested for copper, to prove the point. If very high over 1 PPM, I suggest draining the spa and starting with a clean slate or properly treating the copper. Once the pH is raised, staining and discoloration can result, as well as green hair and fingernails. Your spelling of certain words suggests that you are writing from Australia, New Zealand or South Africa. A tester, such as the ColorQ all-digital photometer, does not seem to have this type of problem. I hope that I have been helpful. If so, please tell your friends about the website. Best wishes for the New Year. Hi Alan , just a quick question, we have just got a small 3-4 person spa and was just wondering if when u check the pH in the spa does it need to be turned on and heated or can it be done when it is turned off and cold? Thanks for your Time. Temperature can affect pH, to a slight extent, but it is not relevant. The pH needs to be optimized, at all times, in order to avoid corrosion, make sanitizers work better and for bather comfort. Sooner to get it in range the better. A proper TA will make pH control easier and more stable and should be a regular daily test. Calcium hardness can lead to corrosion and excess foaming, if too low and cloudy water and scaling, if too high. Test weekly, unless there are problems. Sanitizer levels should be tested daily. Even better would be to test before and after each spa use and adjust accordingly. We feature several, affordable models of spa salt chlorine generators, which can make maintaining a proper chlorine level easier. No chlorine to handle, measure or store. It seems that the pH of my spa is always too high. After, I switched from chlorine to bromine, it started to happen. Can that have anything to do with the problem? The water is nice and clear, but the pH definitely seems to be very high. I keep adding a pH reducer, but nothing seems to be happening. I need some help. The problem can very well be related to the bromine. However, the fault lies, not with the bromine, but with the chemicals used to test the pH. Bromine can react with phenol red (chemical used to test for pH) and cause a purplish-red color that makes it appear that the pH is very high. In fact, the formation of this color has nothing to do with the actual pH. The problem lies in the fact that the phenol red solution may not have had enough neutralizer (to prevent bromine from reacting with phenol red) in its formulation. This leads to false high pH readings. I assume that the bromine, that you are referring to, is a solid form of the product. In this case, you are using a bromine source that is acidic in nature and that should preclude the need for you to ever have to add acid reducers. Spas maintained, in this manner, will require pH increasers and total alkalinity increasers - never acids. I suggest that you bring in a water sample into a local spa professional for confirmation. If confirmed, you need to use a Test Kit that is formulated to work with Bromine or add a drop of chlorine neutralizer (available in most pool and spa stores) to the test vial, just prior to adding the phenol red solution. Now that we have established why the pH can actually be very low, we must take another step. The low pH could have caused corrosion of the heater. In order to avoid discoloration or staining, I suggest that you add a double or triple dose of a Quality Spa Mineral Treatment, such as phosphate-free Liquid METALTRAP, prior to raising the pH and total alkalinity. I hope that I have been helpful. Good luck and enjoy the spa. What a great web page! Maybe you can help us. We have a new spa, to which we added a liquid pH buffer, at start up. We had the water tested yesterday: pH 7.0, Alkalinity 220 ppm, Hardness 20 ppm. Unfortunately, no one seems to be able to help us. High Alkalinity according to the maker of the Liquid pH Buffer is normal and should be ignored. However, bringing the pH up now is proving difficult. Is this a drain the tub and start again situation? We are concerned that high alkalinity, may cause problems, on the flip side, also low pH. Hardness we can fix with calcium chloride, I assume? Thank you so much for your help! There is no compelling reason to maintain the TA in the 80-120 PPM, so long as the water is clear, there are no signs of scaling and the pH is in range. In your case, the pH is too low. The pH Buffering product that you added will make it harder to raise the pH. The good news is that once the pH has been adjusted, it will tend to remain there for longer periods of time. Your hardness is curiously low, as most testers have difficulty measuring a very low reading. The pH Buffering product should not be used in hard water areas. If you increase the hardness, you may cause the water to become cloudy. Normally low hardness brings the issue of corrosiveness. However, in you case, the high TA and a correct pH should reduce this possibility. However, there are other benefits to consider, such as reduced foaming, at higher levels of calcium hardness. If you choose to raise the hardness, I suggest that you keep it at approximately 150-200 PPM. Under no circumstances go over 250 PPM. To better assure proper overall spa water chemistry, visit a pool or spa store that has a very reliable, professional lab such as a WaterLink SpinTouch Lab, rather than a less accurate test kit or strip reader. I hope that I have answered all the questions. Enjoy the spa. ► What To Use For Lowering The pH? Is there any difference between this product made for spas versus pools? Obviously, I can buy a gallon of pH down for about the same price as a quart made for spas specifically. Isn’t it just sodium bisulfate? Maybe!!! I don't know what every company puts inside the bottles. Liquid products to lower a pool's pH are usually straight muriatic acid, unless labeled otherwise. Liquid Spa products, for the same purpose are most likely diluted muriatic acid or possibly a solution of sodium bisulfate. Having been in the chemical manufacturing business, I would not choose to manufacture or package the latter. Muriatic acid is harder to measure and handle, than a dry, granular material, especially when dealing with the small amounts required for a spa. My choice would be sodium bisulfate granular, added by using a plastic cap or small scoop. Add small amounts, remembering that you can always add more, but you can't take out. I hope that I have been helpful. ► High Total Alkalinity (TA)? My pH is good and the spa water looks great, but my TA is too high. Every time I try and lower the TA to below 120 PPM, the pH ends up too low. Raising the pH ends up raising the TA. It is like a roller coaster ride!. Any help would be appreciated. It is more important to maintain a proper pH, than it is to maintain a TA of 80-120 PPM. Minerals that occur naturally, in your water, might be contributing to this phenomenon. There is no compelling reason for you to have to lower the TA: your pH is good and the water is clear. Stop worrying about the TA, unless there are signs of cloudiness, the appearance of calcium scale or other water chemistry problems. Work on maintaining a proper pH! Leave the worrying to those with very low TA, that are unable to keep the pH from bouncing. Enjoy the spa experience. ► High pH and TA? Hi Alan, first off....great website that seems to be helpful without an agenda. My question has to do with high T/A and pH. I have high T/A of just under 400 and pH of around 8. This is after adding a half cup of baking soda to the water as I thought T/A would be low and pH low due to some faulty pH test strips. I would like to add some muriatic acid to bring all in line, but don't know how much for a 450 US gal tub. Also would like to know how long I should wait after adding that baking soda and also should I keep the circ pump going or full jets when adding? Thank you in advance. First of all, you do not have to add any baking soda. That is for raising the TA and it is already too high. You need to add acid. Usually the pH reducing chemical for spas is sodium bisulfate. It is just easier and more pleasant to use. The end result is the same, with either one. It will lower the pH and the TA. Just use the filter on recirculate. Add the sodium bisulfate (pH Reducer), 4 ounces at a time, until the pH is 7.2-7.6. At that point stop! If the TA is too high, there is no need to do anything, so long as the water is clear and there is no sign of scaling. If by chance, the TA is too low, add some baking soda (TA Increaser). Remember, you can always add more - you can't take out. Not all test strips are the same. I suggest that you try the LaMotte Insta-Test Strips, as I have not received any negative feedback. I hope that this information proves helpful. ► pH and TA Not Controlled? I have a commercial spa that is being controlled by an auto controller. We are using liquid chlorine as a sanitizer and carbon dioxide as a pH controller. Our source water has a pH of 7.2, TA of 95 and CH of 120. The operator finds that the TA tends to creep up after a few days and she is forced to lower it with acid. Is there a correlation between either the sodium chloride or the carbon dioxide and this creeping affect? If so can you recommend a solution to this situation. Note this tub is completely drain every four to five days based on it current bather load. Regards. Liquid chlorine has a high pH and you are being forced to lower the pH. Your choice of carbon dioxide will be effective, at lowering the pH. The byproduct of the carbon dioxide gas and the alkaline materials in the liquid chlorine are bicarbonates. This forms the basis of total alkalinity. So long as the pH is correct, I would not be concerned with the TA, if the water remains clear and there is no sign of scaling. With the relatively low calcium hardness, a higher TA will actually make the water less corrosive. Otherwise, keep the pH closer to 7.2 and the TA will become lower. pH is always the more important parameter. I hope this information helps resolve the matter. ► pH Is Off The Charts? Dear Alan, your website is great. Have learnt a lot but have not found my answer. We have got a new spa and although we have followed the instructions on how to fill a new pool our pH and TA is totally out. The pH is over 8 and the TA over 220 PPM. What chemicals should be added when filling the spa? Ours is a 1,000 litre spa and we use chlorine. Thank you in advance. Adding pH reducing chemical will drop both the pH and TA. I suggest you add 120 grams (4 oz. ), at a time, every 15 minutes, until the pH is 7.2-7.6. It will probably take several additions. You can always add more chemicals -- you can't take out! Once the pH is in range, test the TA. If the TA is over 120 PPM, there is no compelling reason for you to have to lower it further, so long as the water is clear, there are no signs of scaling and the pH is 7.2-7.6. If the TA is under 80 PPM, add some TA booster, about 120 grams (4 oz. ), until the level rises above 80 PPM. pH is always more important than total alkalinity. I hope that this information helps get you off on the right track. Enjoy the spa. I test my pool and spa chemicals daily as I work for a hotel. My problem is I have to adjust the pH in the spa quite often. All the other chemicals tend to stay within range. So far all the pH adjustments have been to raise the pH and the amounts of soda ash I add have all been guesswork. What I need to know is if there is a formula to determine the proper amount of chemical to add for proper pH adjustment. I have been to your website and think it is great. I hope you can help me with this. Sincerely. There's no simple, fool proof formula. The amount of chemical required to raise the pH is dependent upon the water volume, total alkalinity, additions of acidic chemicals such as bromine tablets, the absorption of carbon dioxide and the bather usage and frequency. No two spas would be alike. Apparently, you are using a sanitizer or system that lowers the pH. It is more or less inevitable that the pH will drop. I suggest that you keep a log, as a means of better determining the corrective treatment for your spa. I hope that I have been of help. ► Household TA Reducer and Increaser? What household substance can be used to increase or decrease total alkalinity in my hot tub? None to lower the TA! Sodium bisulfate (pH reducer) is normally used to lower the pH and/or the total alkalinity. It is not a household chemical and is a strongly acidic chemical, in a granular form. Muriatic acid could be used, but given the small volume of water in a spa, it is too strong to handle easily and conveniently. Acidic materials like vinegar are too weak and should not be used. Baking soda (sodium bicarbonate) is the chemical used to raise the total alkalinity of spa water. I hope that this information proves useful. The pH seems to be in the high 8 all the time and total alkalinity seems to be low around 50 at least that’s how many drops it takes to turn red from green. My tub is 1000 gal, temp 104, calcium hypochlorite is the chlorine and reads 5 PPM free chlorine. The water is clear all the time I do get lots of foam as well. Got any ideas? Calcium hypochlorite is a poor choice as a sanitizer, in your situation. It has a very high pH and will cause the pH to remain high, i f adjustments are not made. High pH makes chlorine less effective and makes formation of foam causing soaps more likely. Try adding a spa formula antifoam. Adding a periodic dose of an enzyme can help destroy the body oils that lead to the formation of soaps. The addition of an ozonator is something that you might consider, as it will make maintenance easier and produce higher quality water. It will reduce the chemical consumption. You consider adding a mineral sanitizer, as well. This combination works well together. All you should need is a very low level of chlorine or bromine, as it will act as confirmation that proper conditions are being maintained. If you want to use chlorine, a salt chlorine generator is the easier and better way to use chlorine, providing consistent results and more control. Your water testing might be improved and simplified by using LaMotte Insta-Test strips. I hope that this information will prove helpful. I had been treating my hot tub regularly, however all of a sudden the water became very corrosive and the handle used to pull yourself up and out of the tub corroded and the rust fell down into the water. Now I have the rust ring all around the water line, the filter has turned brown, and the handle is corroded through with many pin holes in it. I drained the tub and the stains are extremely hard to remove. Also can the handle be replaced, so it doesn’t continue to cause problems? Where did I go wrong and how can I rectify the situation to get my tub back useable? Thank you for your assistance. Acidic conditions will lead to corrosion of metal parts and, possibly, the heater. It sounds like the pH was too low! 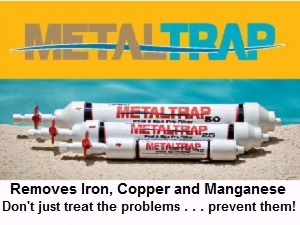 Try using METALTRAP Stain Remover. in a sock and scrub the stains. Refill and add a dose of phosphate-free, Liquid METALTRAP. I suspect you were using bromine tablets and neglecting to monitor the pH. Adding an ozonator is something that you would be wise to consider, as it will make maintenance easier and produce higher quality water. It will reduce the chemical consumption. You might add a mineral sanitizer, as well, since it will provide additional, persistent sanitizing. The combination of the two compliment each together. All you should need is a lower level of chlorine or bromine, as it will act as confirmation that proper conditions are being maintained. The addition of a salt chlorine generator will provide a complete sanitizing system and help you avoid corrosive low pH conditions. Replace the handle with plastic or stainless steel. An assortment of corrosion resistant composite rails, are now available. Keep the pH at 7.2-7.8, the TA at about 120 PPM and the calcium hardness at about 200 PPM. I hope that I have been helpful. ► Baking Soda To Raise The pH? Hi Alan. I'm glad I bookmarked your website. Hope you had a happy and healthy New Year. Have a question for you. Can I raise the pH in my hot tub by adding baking soda? Thank you for a reply. Baking soda (sodium bicarbonate) is typically used to raise the total alkalinity of the water. If the pH is low, it will move the pH upwards towards 7.8. In doing this, it will, also, raise the TA of the water. Sodium carbonate is normally used to raise the pH, as it is more efficient than sodium bicarbonate in raising the pH. The answer to your question is maybe! It all depends on the actual pH and TA. If the pH is close to optimum and the TA is on the low side, sodium bicarbonate might do it all. If the pH is low and the TA is optimum, it will require more sodium bicarbonate and can end up raising the TA too much. I hope that I have been helpful. I have adjusted the total alkalinity of the spa to about 100 and the pH is good. Still within a week or so, the pH is too low. The only chemicals I use are bromine tablets in a floater. The spa has an Ozonator and is only used a few times a week. What can I do? Spa water does have a natural tendency to drop in pH. What you are describing seems to be quite normal. The absorption of carbon dioxide and the effects of bathers tend to lower the pH. The bromine in your floater will lower the pH. All this results in a slowly falling pH. If your TA wasn't 100 PPM, it would happen much more quickly. I suggest that you test the pH, at least every other day and adjust, as required. Enjoy the spa. My total alkalinity readings are around 50 PPM and the pH of the water is 6.9. How should I treat the spa water? Thanks in advance. In all likelihood, adjusting the total alkalinity (TA) will also raise the pH and bring it into the ideal range. Use a Spa Formula Total Alkalinity Product and follow the directions. It is important to avoid low TA, as this can lead to low pH readings and pH fluctuations. The combination of low pH and TA, in your spa, can lead to corrosive conditions and could damage underwater metal surfaces and the spa heater. Testing the water on a regular basis is important! I hope that I have been of help. Alan. The last 6 months I have been having a problem with the alkalinity dropping to 20 PPM. This will happen in 24-36 hours. Our pH is 7.2 and chlorine is 0.5. We bring the levels where they need to be and with 2 days the levels drop. 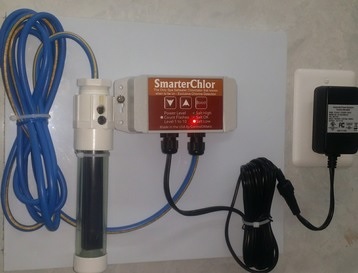 We have an automatic controller unit that keeps the liquid chlorine and pH balanced. We can not maintain our Alkalinity level. Our spa is approx. 500 gallons. Do you have any suggestions? The low TA may contribute to the corrosiveness of the water and how it effects metal parts. You might want to adjust the controller to maintain the pH closer to 7.6. The addition of sodium bicarbonate will raise the TA, with only a slight raising of the pH. One-half a pound should raise the TA approximately 50 PPM. Bathers, wastes and aeration tend to lower the pH and the TA over time, making the adjustment of the TA somewhat dependent upon usage. If your spa water has a calcium hardness below 300 PPM, you might be able to add a pH buffering product. These are liquid products, based upon potassium phosphate, and will help stabilize the pH and the TA, in the ideal range. However, it is not suitable for use in hard water situations, as it will lead to cloudy water. I hope that this information proves helpful. Thank you for helping me. I have a Mineral Sanitizer (silver ion? ), and an ozone generator that runs 24 hours/day. When I filled the spa about 10 days ago I added sodium bicarbonate to bring TA up to 80 - 120, sodium bisulfate to bring pH back to 7.4, and lithium hypochlorite. Since then I only add sodium bisulfate and dichlor as needed to maintain pH and free chlorine. Testing with both spa test strips and a swimming pool (OTO/phenol red/TA titration) test kit give the same results. The spa is covered 23+ hours per day. I did add a small amount of defoamer once and a small amount of clarifier once, but the pH problem existed both before and after those chemicals. The defoamer and the clarifier have no appreciable effect on the pH. Ozone is pH neutral and the mineral sanitizer, that you are using, should have no significant effect on the pH. Dichlor is essentially neutral. The lithium shock has a very high pH. It appears that you are using relatively soft water, inasmuch as you had to raise the total alkalinity. I suggest that you keep the pH at 7.2-7.6. If the pH is too low, add sodium bicarbonate to raise the pH. This will also raise the TA. The higher TA will help stabilize the pH more effectively. A higher TA is not a problem, so long as the calcium hardness is not over 200 PPM and the water remains clear. Dissolved carbon dioxide is acidic. As you add sodium bisulfate, you are converting some of the dissolved carbonates and bicarbonates into carbon dioxide. As this gasses off, the pH will drop. Maintaining a higher TA should solve the problem. The OTO test kit does not measure Free Chlorine, as can the Test Strips. I hope that I have been helpful. ► Waiting Time After Adding Chemical? Hi Alan, I've finally had enough time to really read your site and the archives and it is the most useful source of information I have found. Although I haven't finished my starters kit, I will keep your advertisers in mind because I want to see your useful website last. May I ask two more questions, or actually one with parts A and B? When you add chemicals to raise or lower the pH in a spa, how long should you wait to get an accurate retesting? And how long after adding is it ok to use the spa? Thanks again. Spas have excellent agitation and chemicals dissolve quickly because of that and the water temperature. Allowing about 10 minutes for small amounts of chemicals to dissolve and disperse is reasonable. If correcting the pH, you can use it as soon as you confirm the test readings are acceptable. The only exception would be if the sanitizer level had bottomed out. If this happens, allow 30 minutes of proper sanitizer levels before using the spa, in order to allow sufficient time for the sanitizer to act on the microorganism populations. Thanks for the encouragement. Enjoy the spa. I use bromine in my spa, along with an ozonator and a mineral sanitizer. Occasionally, when I do a pH test, I get a purple color that looks like the pH is much too high. I know that it couldn't have risen that quickly. What am I doing something wrong? Bromine is present in the water and, if the concentration is very high, it could interfere with the pH test. Under these conditions this purple color has nothing to do with the actual pH. To avoid this problem, add a drop of chlorine neutralizer test solution (sodium thiosulfate) to the sample before testing. It will discharge or lower the bromine level. Some pH testers are better able to perform properly, in the presence of bromine. With a mineral sanitizer all you should require is 1-3 PPM of bromine and because you have an ozonator, it will require very little in the way of bromine product. I hope this helps explain the problem. ► Not Supported By The Facts? I’ve got a 400 gallon hot tub that I keep at 98°F. I continually have a problem with high pH. I add acid and the TA decreases, but the pH does not move. I’m having issues with scale formation and cloudy water. The hardness is actually low, per my test results. I do know it’s not bacteria. The Bromine level is high - @ 20ppm, so much for the in-line spa mineralizer that supposed to automatically keep the level between 1-2 ppm (with ozonator) and I have shocked the water twice. Adding any more acid at this point will drop the TA below 80. We are on a community well and have had issues with high metal concentrations. I use a chelating agent when I first fill the tub to precipitate metals and filter them out. Any thoughts? Your test results and the status of the spa water do not necessarily follow. Inasmuch as you are using bromine, possibly it is causing a false high pH reading. Bromine should be lowering the pH. Have the pH and TA test results verified by a dealer. For testing purposes, I suggest the LaMotte Insta-Test strips as they provide the right kind of information, especially when the bromine level is high. Even better would be a ColorQ PRO 7 Digital Water Analyzer, which eliminates all color-matching and guesswork. Scale formation is unlikely to occur, unless the calcium hardness is high, even if the pH is too high. pH is always more important the TA. Always! Sometimes the natural minerals, present in the source water, don't make this easy. I suggest that you lower the pH to 7.2-7.8 and see how difficult it is to keep it there. If there is no problem keeping the pH within this range, I would not be concerned about the TA. Otherwise, if the calcium hardness level is under 250 PPM, I would add a pH buffer product. This product is usually a liquid and will help stabilize the pH. I hope that this information helps to clarify the problem. ► Stabilizing The Spa pH? The last time I picked up spa chemicals I noticed a liquid product that is used to buffer the pH and make it more stable. The product advised against being used in hard water areas. I believe that my water is soft. Should I be concerned about using the product. This type of product can cause precipitation and cloudiness if used in hard water areas. These products should not be used if the Calcium Hardness Test is above 300 PPM. Even at levels between 200-300 PPM, precipitation and clarity problems can result, depending upon the pH and the total alkalinity. 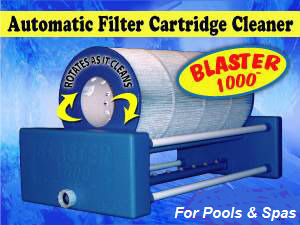 Personally, I suggest that such a product, not be used, if the calcium hardness of the spa water is above 200 PPM. You should be able to adequately stabilize the pH by maintaining a total alkalinity of 80-120 PPM. However, these pH Buffer Products can work very well in soft water areas and can reduce the frequency of pH adjustments. I hope that I have been helpful.